The Monkey King is one of 2 new secret characters in the Chinese New Year update. 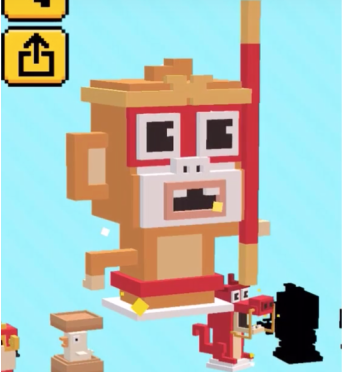 To unlock the Monkey King play the new character Red Monkey in Ball Challange Mode. This is a new mode that was added with this Update. Shoot down round about 15 wooden boxes with Red Monkey and collect the small golden monkeys inside. Once you collected enough golden monkey you will unlock Monkey King. By the way: 2016 is the chinese year of the monkey.